St. Eustatius National Marine Park was established in 1996. It encompasses the entire coastline of St. Eustatius from the high water mark to the 30 meter depth contour, covering an area of 25,500 hectares. Within the park are two reserves, one in which strictly no fishing and anchoring is allowed. The marine park is managed by the non-profit organization Stenapa (St. Eustatius National Parks Foundation) which was set up by Statians who wanted to protect and preserve the flora and fauna of the island for future generations. In addition to our Marine park the government of Statia signed the Yarari marine mammal and shark sanctuary. The populations of sharks worldwide are in sharp decline and therefore need extra protection against illegal fishing and bycatch in regulated fisheries. With this eleventh shark sanctuary in the world the Statia will actively protect sharks in the Caribbean Sea including but not limited to the marine park. The name of the Sanctuary Yarari is an Taíno Indian word, meaning ‘a fine place’. 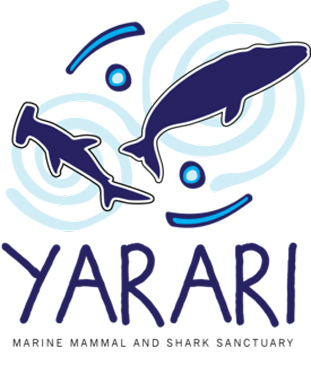 The Yarari Sanctuary, which encompasses all the waters around the island including the Exclusive Economic Zone or EEZ, will not only protect sharks, but will also provide a haven—a ‘fine place’— for marine mammal, whales and dolphins. Humpback whales spend the winter months in the warm Caribbean waters where they calve and suckle the baby whales during their first few months until they are strong enough to begin the trek to their feeding grounds in the cold Northern Atlantic waters.